Dancers reveal the richness of China’s long history and complex heritage as one of world’s oldest and continuous cultures, with over 5,000 years of recorded history. Students will see the agility and courage of the Chinese warrior, the skill and excitement of Peking Opera acrobatics, along with a variety of folk dances which express the character of various nationalities within China. The dancers perform both traditional and Chinese dance as well as original modern dance reflecting the cross-cultural experience of the choreographer, Nai-Ni Chen. Ms. Chen comes from a rich dance tradition. Born in Taiwan, she began her training in Chinese dance at age four and, from the age of fourteen, received intensive training in the disciplines of Peking Opera, martial arts, ballet, modern dance, music, and visual arts at the Chinese Cultural University. She became an outstanding performer at an early age and, during her college years, toured and performed with numerous professional companies. Drawing on elements from the flowing lines of Chinese calligraphy to the thundering motion of the martial arts, Nai-Ni Chen is one of the very few established Asian-American choreographers who meld the dynamic freedom of American modern dance with the stoic discipline of the Chinese classical arts. Through the more than 50 dances she has created since forming the Nai-Ni Chen Dance Company in 1988, Ms. Chen has developed a unique style that takes audiences into a realm beyond cultural boundaries. 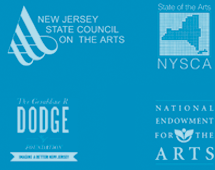 Ms. Chen is a recipient of a NJ State Council on the Arts 2011 Choreography Fellowship. She has also received a two-year Choreographer’s Fellowship from the National Endowment for the Arts and has twice received a Choreographer’s Fellowship from the New Jersey State Council on the Arts. Her work has been commissioned by many foundations and institutions, including the Geraldine R. Dodge Foundation, the Mid Atlantic Arts Foundation, the Joyce Theater, the Lincoln Center Institute, Dancing in the Streets in New York, the New Jersey Performing Arts Center, and, recently, Dancing Wheels of Cleveland, Ohio, Ballet Met of Columbus, Ohio, and New Jersey Ballet, among others.